RICH AND CREAMY SLOW COOKER HOT CHOCOLATE — Made in the slow cooker, this hot chocolate is so rich and creamy! Change up the chocolate chips to change the flavor. The best hot chocolate you’ll ever have! Nothing is more comforting than a cup of hot cocoa on a chilly day, and if you’ve been looking for the perfect hot chocolate recipe, look no further than this Rich and Creamy Slow Cooker Hot Chocolate. My family agrees, this is the best hot chocolate they’ve ever had! And it’s so simple to make, with ingredients you probably already have on hand, like milk, cream and chocolate chips. 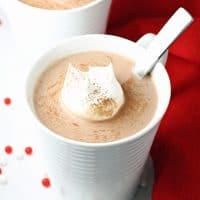 And because this hot chocolate is made in the slow cooker, it’s easy to keep it warm and ready all day long, which makes it perfect for snow days, or a holiday hot chocolate bar. Hot chocolate bars aren’t just for Christmas time. They’re also perfect for Valentine’s Day parties, when the weather is just as cold (if not colder) that it is in December. My favorite way to make this hot chocolate is with a combination of milk and white chocolate chips. I find it a combination that’s loved by both kids and adults alike. But you can definitely use semi-sweet, dark, or any combination–specialty flavors like mint chocolate chips–to create the perfect hot chocolate for you. You can also add flavored extracts or oils like mint, raspberry, orange or coconut for an extra special treat. And don’t forget all the fun toppings–whipped cream, marshmallows, sprinkles–the possibilities are almost endless. This recipe does make enough to serve a crowd, so if I have leftovers, I just pour them into a pitcher and keep them in the refrigerator. Then I reheat the hot cocoa in my slow cooker, or on the stove top. You can even reheat individual mugs in the microwave. One thing is for certain. This is the only hot chocolate recipe my family and I will ever make. 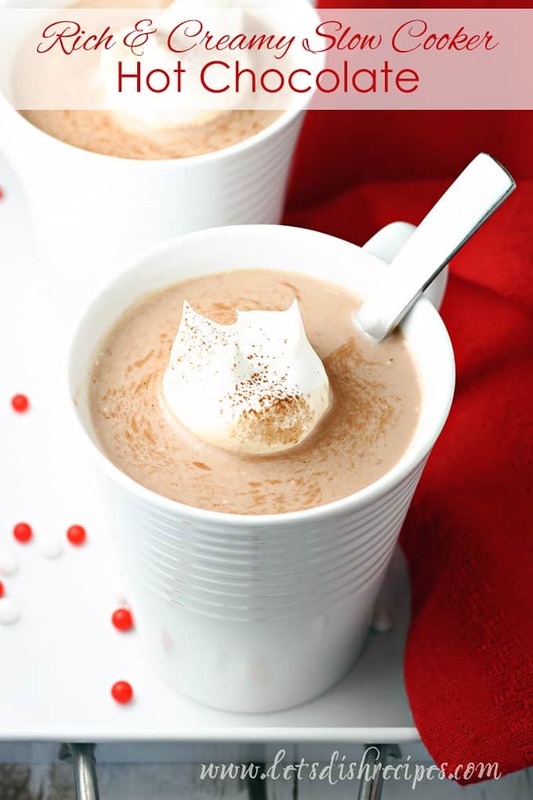 If you’re looking for the perfect recipe for rich, creamy hot cocoa, this one is a must try! 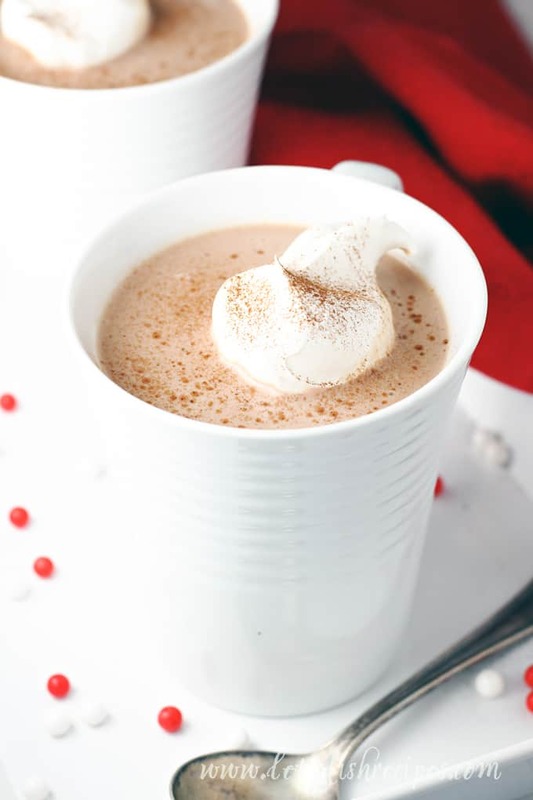 Be sure to save this Rich and Creamy Slow Cooker Hot Chocolate recipe to your favorite Pinterest board for later. Made in the slow cooker, this hot chocolate is so rich and creamy! Change up the chocolate chips to change the flavor. The best hot chocolate you'll ever have! Combine all ingredients in a slow cooker and stir to combine. Cover and cook on low for 2-3 hours, stirring occasionally to distribute chocolate chips. Serve with marshmallows or whipped cream, if desired. These easy but elegant chocolate desserts are rich, decadent and irresistible. Perfect for a romantic dinner or a dinner party with friends. 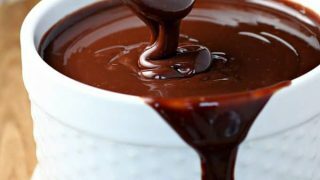 This smooth, rich chocolate ganache is the perfect topping for so many decadent desserts. And it's surprisingly easy to make! 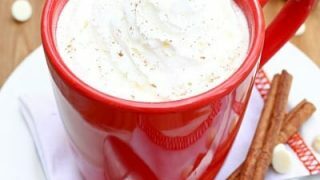 White chocolate, pumpkin spice, cream and evaporated milk come together in this cozy, creamy warm drink. 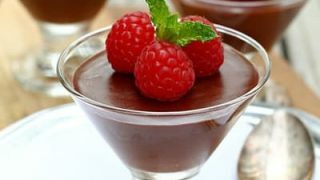 Chocolate mousse doesn't need to be difficult to make to be delicious. 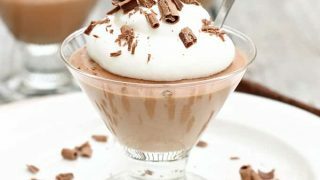 This simple chocolate mousse recipe turns out perfectly every time!